Wild Wings Wolf Tableware Set - 12-Piece | BUDK.com - Knives & Swords At The Lowest Prices! 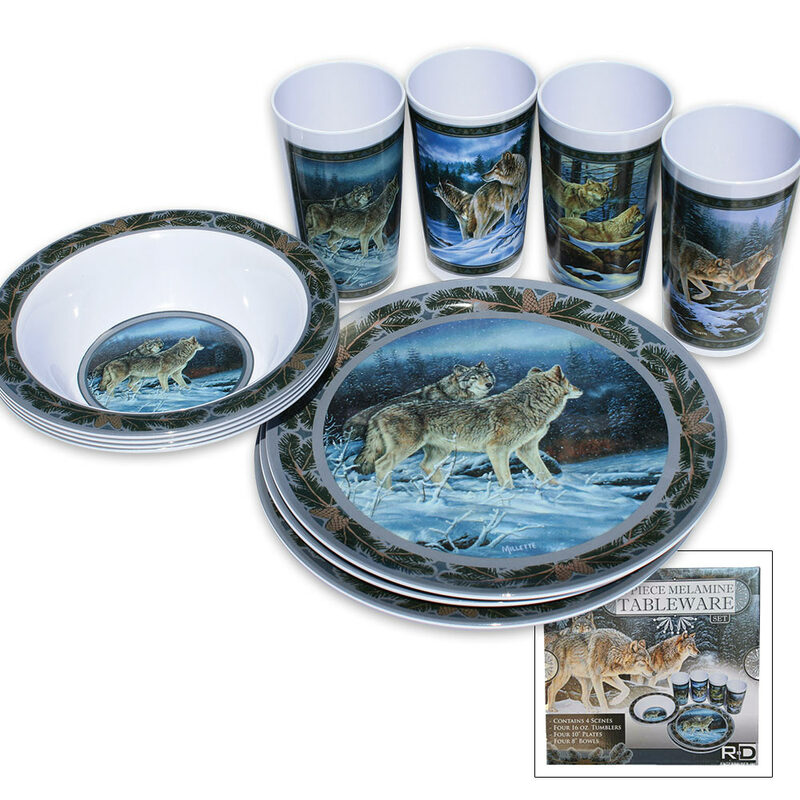 The Wild Wings Wolf Tableware Set is a beautifully styled, nature themed melamine tableware set. Each place-setting has its own unique artwork for you to mix or match on your table. 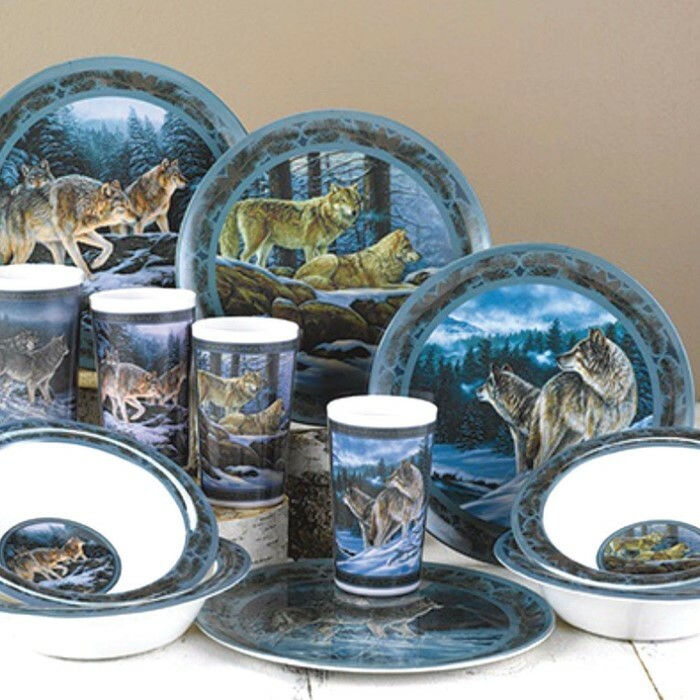 The four unique renderings of Wolves in the wild make this set a sure winner for any table. It has four place-settings, which include a 10" dinner plate, an 8" cereal/salad bowl, and a 16 oz. tumbler, for a total of 12 pieces.